Convert website visitors into in-store visitors. Automatically save customer name and number. Engage immediately and get new customers anytime, anywhere. 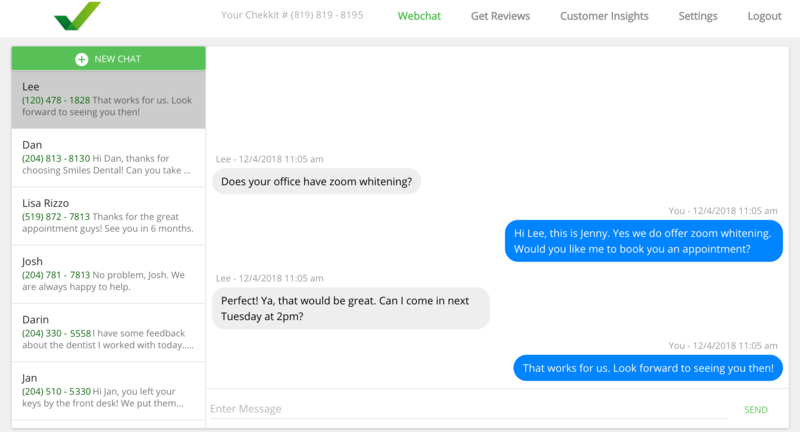 Webchat converts new website leads into text message conversations. 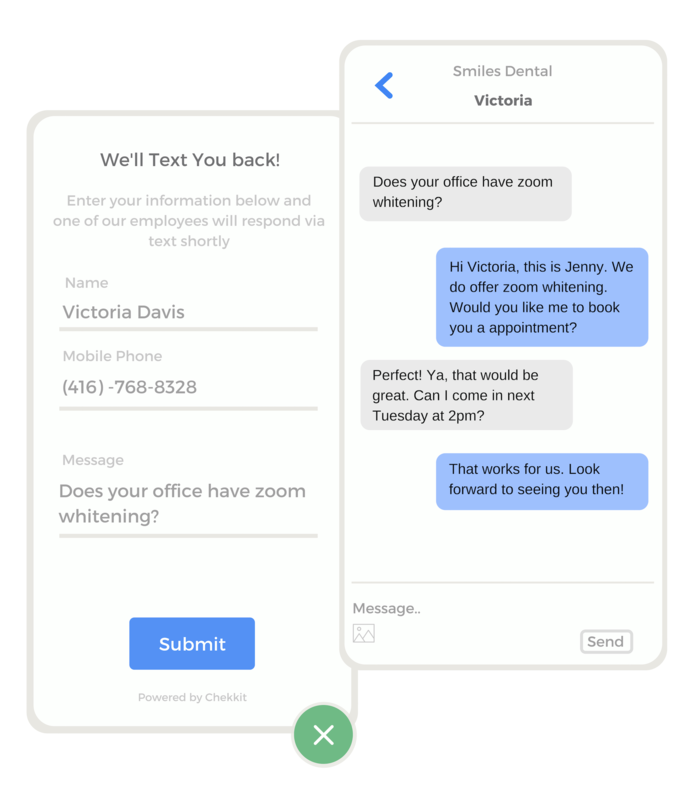 Customers can message you wherever they are and you can follow-up any time you want. Get notified instantly when a new customer has a question for you. Your business is alerted when a website visitor is looking for an answer. Customers buy from the first responder. 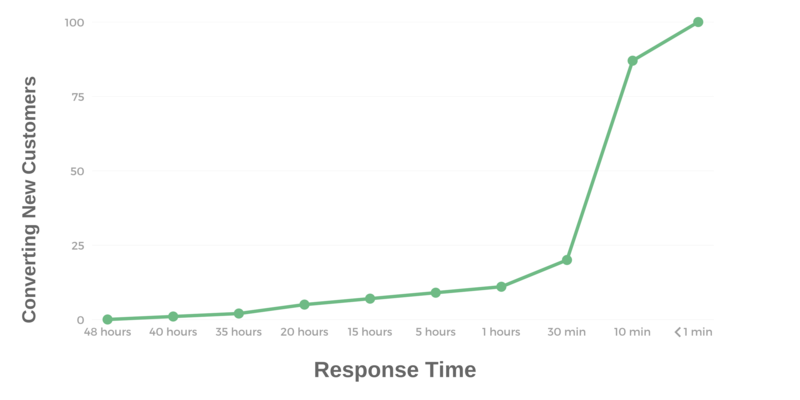 Response time is quickly becoming the leading indicator of successful contact conversions. If you're not responding to customer questions, who is? Webchat beats traditional live chat. Send video tours and rich media to your customers to increase interest level. 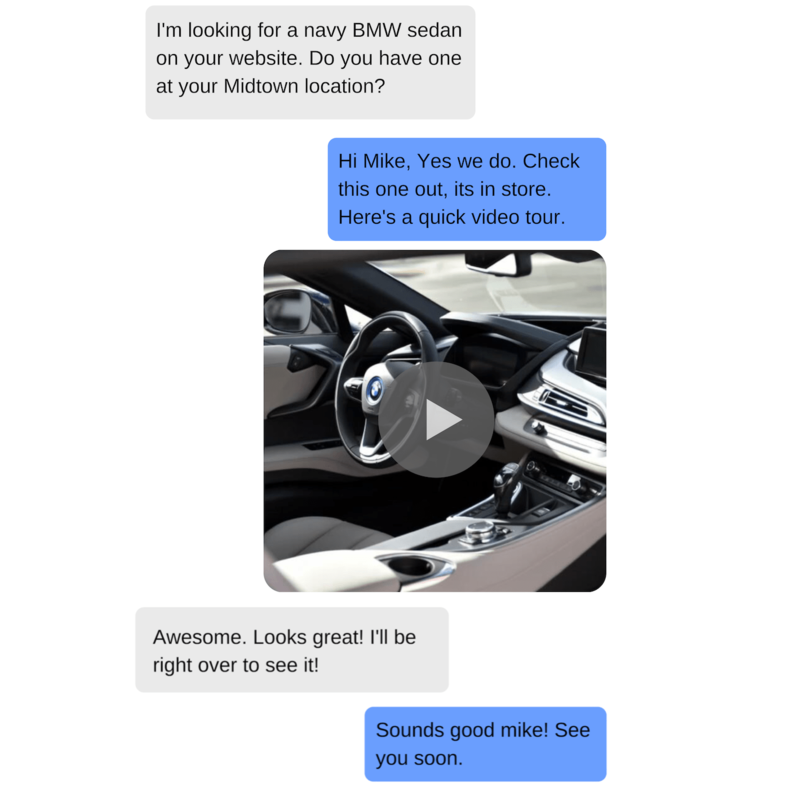 Customers take their rich conversations with you wherever they go. 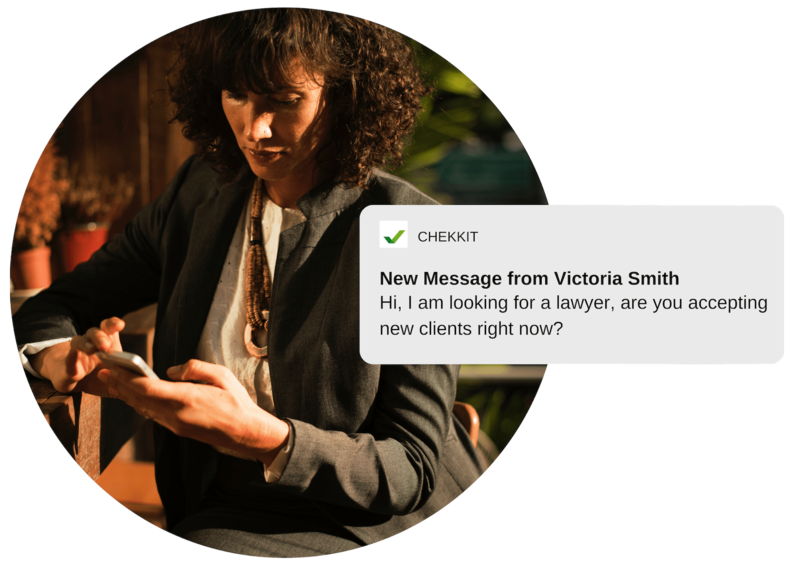 Convenience for you and your customers: respond to messages from your Chekkit dashboard or mobile app. Build lasting relationships with your customers easier than ever. 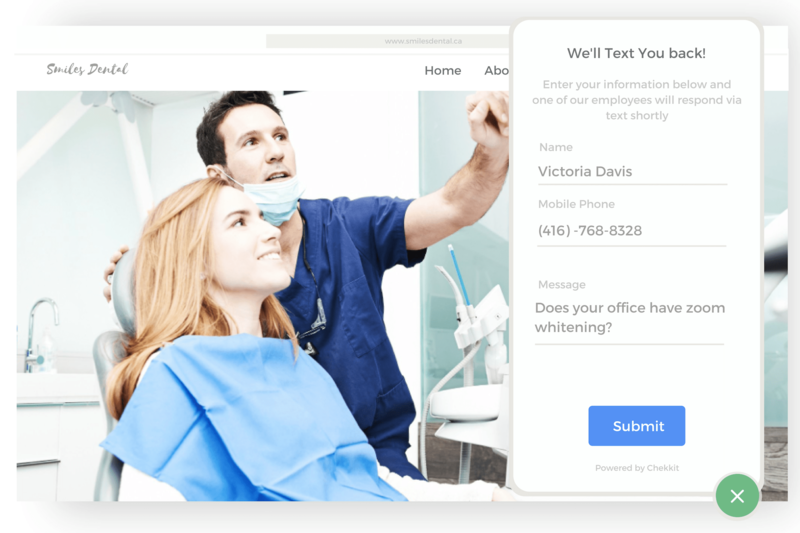 Ready to start converting website visitors into storefront visitors?